The Feast of St. Bartholomew, the patron of Split Airport, was traditionally celebrated with appropriate program. 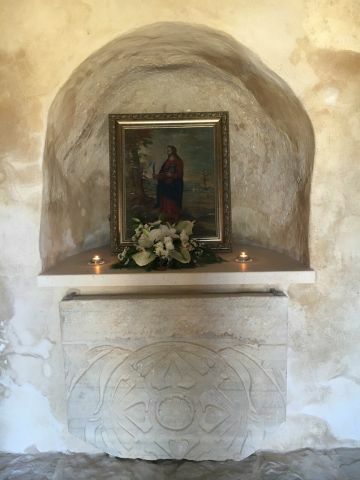 The Holy Mess in the medieval church of Saint Bartholomew was attended by Split Airport employees, as well as by numerous guests and believers from neighbouring places. Small stone church of St. Bartholomew was built at the end of 13th and the beginning of 14th century. 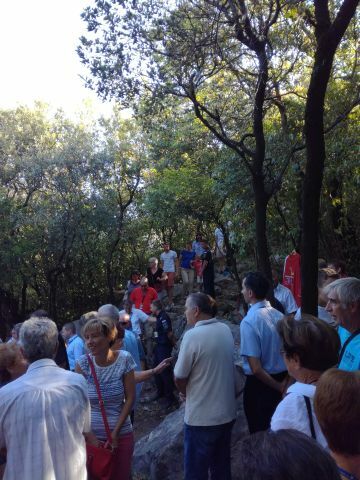 It is situated on the hill within Split Airport area, and it is open for public only one day every year. The program continued with a party hosted by Split Airport General Manager, Mr. Luksa Novak. Already in the pre-season, we note an increase in passenger traffic of over 60%. Croatian national carrier Croatia Airlines registered one millionth passenger this year, on Tuesday, 4th July 2017. 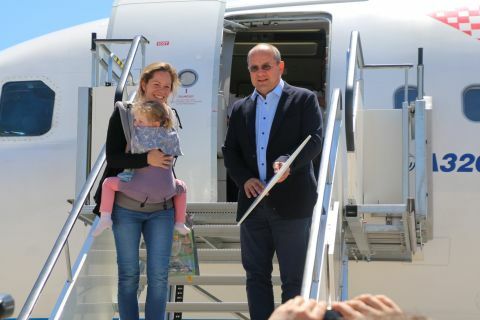 The jubilee passenger, Ms. Julia Susanne Halbritter, arrived to Split from Frankfurt, on flight OU 413. 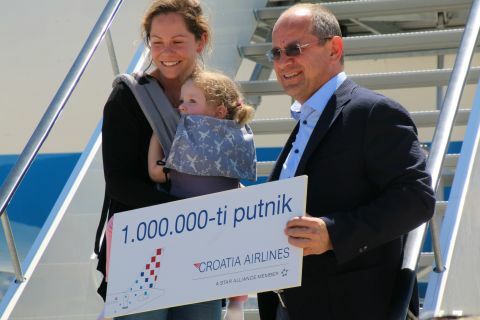 At a ceremony held at Split Airport, Mr. Kresimir Kucko, Croatia Airlines President and Chief Executive Officer, awarded the millionth passenger with two business class return tickets to international destination at her choice. On behalf of Split Airport, Mr. Luksa Novak, General Manager, presented the lucky passenger with Basket of Dalmatian Delicacies. Split Airport Emergency Exercise was held on 19th April 2017, from 17.00 – 19.00 h. Airport. Split Airport employees and Croatia Airline air carrier representatives participated in the Exercise. The Exercise was also observed by representatives of Adria Airways, Star Alliance member and CTN partner. The theme of Exercise was airport aircraft crash, what, according to Split Airport Emergency Plan, implies an accident occurring within airport boundaries. An aircraft mock-up with 'passengers' was used to simulate firefighting and passenger rescuing. The Exercise was performed successfully, to the satisfaction of all participants.